If you are wanting to take your smurf collecting to another level, you only needs to examine the markings that can be found on a smurf. These markings can provide a collector with valuable information that could determine whether they want to buy a particular smurf or not. It can also determine whether or not the smurf is just a regular one or extremely rare. Here are some general tips on the markings to help you get a better understanding of your smurf collection. First, check for any markings on your smurf. Most markings can be found under the smurf’s feet, though basically they can be found anywhere on a smurf. All letters, numbers, symbols and paint dots may be important. Note not all smurfs can be found with markings. In the beginning both Schleich and Bully produced smurfs without any markings as these were given away as part of promotions. Also some well known fakes were produced without any markings such as CNT. There are good reference books and websites that you can also use, to help you identify your smurf. This is in reference to the creator of the smurfs. The © Peyo marking can be found in different styles depending on when the smurf was originally produced. When Schleich started selling smurfs, they added their round ‘running man’ logo as part of their markings. When Schleich lost the rights to produce the smurfs, Bully simply blocked out the ‘running man’ part of the logo. This is why it is possible to find smurfs with a round circle marking under their feet. Bully then started to add their name to their new smurfs that they made. In 1978 when Schleich started to produce smurfs once again they added their new logo to their smurfs. Schleich’s new logo is best seen on a Super Smurf box, a bold red ‘S’ inside a circle. On the figurines Schleich just added Schleich with a S in a circle as their marking. Around 1982 when BP stopped selling smurfs in Australia and New Zealand, the smurfs made out of Hong Kong started to include Wallace Berrie/Applause markings. There are many variations of the Wallace Berrie/Applause markings that can be found. In the 1980’s smurfs were also manufactured by Hering in Brazil and Minimodels in Argentina. Details on these smurfs is less known though was confirmed by Schleich; in their book that smurfs were made in South America in the 1980’s. The country marking tells us in which country the smurf was made. 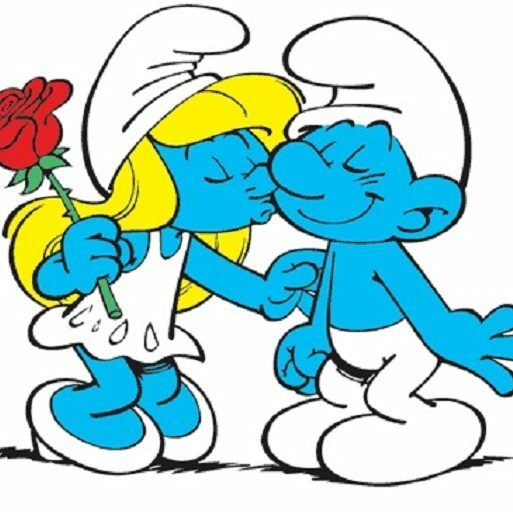 In the past sixty years a number of countries have produced smurfs such as West Germany/Germany, Hong Kong/China, Portugal, Sri Lanka, Macau, Tunisia, Brazil, Argentina. Between 1958 to 1991 smurfs made for mainly Europe were made in West Germany. These smurfs could be found with W.Germany or West Germany. After the reunification of Germany in 1990, all new smurfs were marked with Germany and with the older smurfs the W was just blocked out in front of Germany. Most of the smurfs sold in Australia, New Zealand and the USA were made in Hong Kong. These smurfs were made between 1978 to 1985. At this time, Hong Kong was under control of the UK government and was not part of China. On the majority smurfs made by Schleich a year will be included as part of the markings. The year indicates the date the smurf mould was created. Schleich started adding a year as part of their markings around 1978. On smurfs made by Bully these were never produced with a year as part of their markings. The paint dots were added to the smurfs as a way of quality control to indicate what country the smurf was painted or later on the type of pvc was used in their production. More recently there has been some discussion of smurfs with a yellow paint dot or a yellow circle paint dot. It is thought that these were smurfs painted in West Germany around 1978, possibly before smurfs were painted in Portugal. Black & White paint dots: painted in Portugal and Tunisia between 1988 to 1998. White paint dots were used when the base was black. The paint dots were also used to identify figurines made with a new pvc material requested by the Swiss government as reported in a SCCI Newsletter from 1989. Blue paint dots: to indicate new quality of pvc material was used on the smurf made between 2001 to 2004. These smurfs were all made in China. A single number displayed on a smurf refers to the position the mould occupies in the pvc injection machine. Schleich can be found with numbers 1 to 4 and Bully can be found with numbers 1 to 8. In 1991 all new smurfs were marked with the CE (first European Community, now European Conformity), to show that the PVC smurfs conform to the EC directives. Schleich had already in earlier years started using CE stickers and hand etched CE on the smurfs, but from this year it was always printed. The first known smurf with this CE marking is Patriot, article number 40219. The size of the CE marking has also changed since 1991 due to legislation changes made to toy manufacturers. Currently the CE mark must be a minimum 5mm high. In mid 2009 a Time stamp marking was added to the existing markings on a smurf as part of Schleich’s quality control measures. Later in 2009 the markings on the smurfs started to include Schleich’s contact address due to new requirements made by the European parliament. I have only discussed the general markings that can be found on your smurfs. Things like the adding of ‘Made in’ to the markings is once again taking collecting smurfs based on their markings to a higher level again. Also trying to keep track of all the different markings that can be found on smurfs is like reading an ever ending book – it’s hard work but well worth the effort.